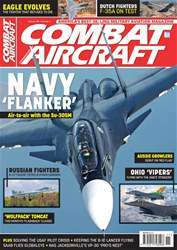 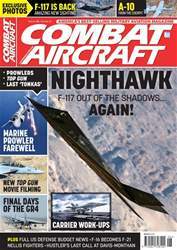 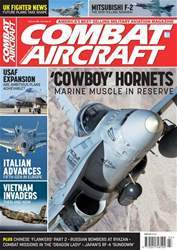 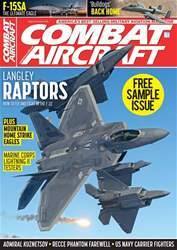 The May issue of Combat Aircraft leads with a feature detailing how the Royal Netherlands Air Force is pushing the boundaries with its F-35As, including dispelling close-in dogfighting myths. 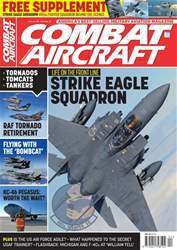 We go behind the scenes in B-1B Lancer deep maintenance, plus a thorough review of the F-15 Eagle, including an exclusive interview with Boeing’s program manager and details of the new F-15QA for Qatar. We have an exclusive report from the Italian Eurofighter Baltic Air Policing, amazing shots of the Ohio Air National Guard ‘Stingers’ specially marked F-16, plus the unit’s European deployment, A ‘Red Flag’ report, the first flight of the Saab GlobalEye AEW&C aircraft, Australian PC-21 training, plus our cover story is an exclusive on Russian Navy Su-30SMs on tanker training.